Intuz has been honored with enviable accolades from prestigious global communities and industry bodies from time to time. 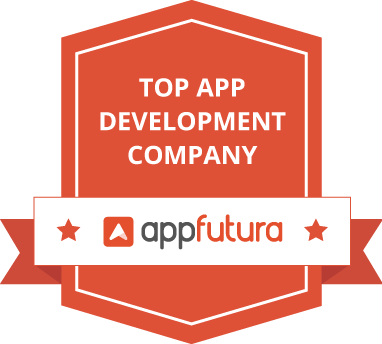 This time, Appfutura, a growing mobile app developer community platform has featured Intuz as the top mobile app development company in the world. Appfutura’s annual research recognized Intuz as a market leader in app development sphere on the basis of Intuz’ experience, client testimonial and strength of app development portfolio. Since 2008, Intuz has successfully delivered more than 1500 projects in 45+ countries around the globe. Owing to its robust app development approach and expert team, Intuz commands an authority in the global mobile app development landscape. Along with app development solutions, Intuz has made its mark in cloud consulting landscape apart from offering comprehensive enterprise mobility and app marketing services and solutions in disruptive technologies like IoT, VR/AR, AI, wearables, etc. Intuz assists startups through POC development services, provides reliable iOS & Android app development solutions, offers enterprise application development services and pioneers in cloud consulting and app marketing, too. Owing to a strong and experienced team of tech ninjas and structured app development process, Intuz has been able to achieve top position in Appfutura’s Research. A differentiating factor that made Intuz bag top position is its robust app development process. The team at Intuz provides extensive support and assistance to customized requirements of its clients and ensures complete transparency in the development process. Result-oriented and customized development methodologies followed by Team Intuz promises a company or startup of a highly-productive mobile app. Intuz’s Appfutura profile is quite popular among app developer seekers, companies, and startups on the Appfutura portal. Known for development expertise, transparent communication, and on-time delivery, Intuz has been rated 5 stars by its clients on Appfutura. Client feedbacks on Appfutura speak highly of Intuz’ professionalism, quality standards, and structured approach. Having a five-star rating on Appfutura profile is a feat in itself. Moreover, the honor of being the topmost mobile app development firm makes Intuz a strong player in the global mobile app development community. In the future, Intuz seeks to grow further and keep delighting its clients through its commitment to deliver innovative solutions. Based on the performance, it is expected that Intuz will continue to stay at the topmost position of Appfutura’s research for many years to come.